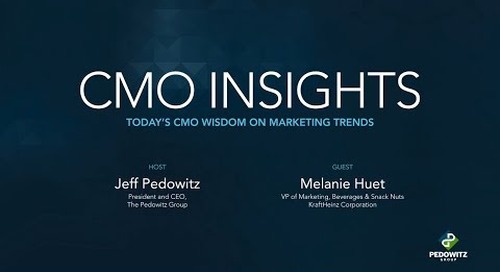 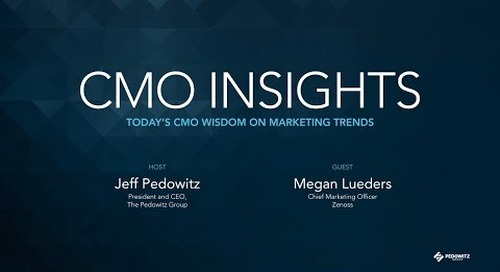 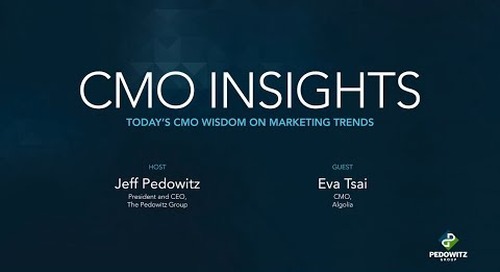 Today's guest on CMO Insights is Mark Floisand, CMO at Coveo. He discusses the importance of being personal, authentic and transparent in marketing, unifying data in order to create a whole view of the customer journey and developing a trusting relationship with our customers. Mark is CMO at Coveo, where he leads Marketing, Customer Experience, and Alliances teams. Mark has 25 years' global experience in high-tech, building and leading teams in software and hardware, including blue-chips like Apple, Adobe, SAP & Sitecore; and start-ups in SaaS services from video editing to systems management to internet security. Jeff Pedowitz and Nnamdi Nwoke with GreenSky discuss the role of the everyday marketer, the importance of empathy and mentoring when growing your marketing team.